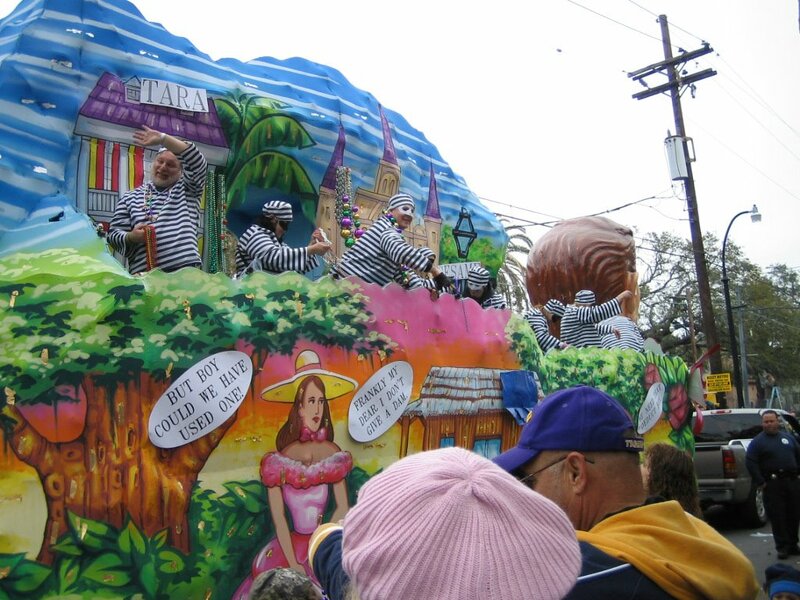 My favorite memory of Carnival is stumbling out of Tipitina’s on Lundi Gras 1989 around 5 AM in the morning. Bleary eyed and exhausted, we were nonetheless walking on air, filled with the true spirit of the holiday yet to come. Dr. John in full Mardi Gras regalia, including a towering feather crown, started playing just before midnight on Sunday. In rare form, the good doctor laid down his own funky gumbo groove for more than four hours, filling that illustrious house of music with the ephemeral essence of New Orleans. The Night Tripper was channeling all the piano professors and hoodoo men who came before him, right there in the club named in honor of the patron saint of Big Easy boogie woogie – Professor Longhair. The last set finished with a 30-minute rendition of Earl King’s timeless Carnival classic “Big Chief.” In tow that night were some newfound friends from upstate New York. I wonder to this day if they realized that they were in the presence of the supernatural. Growing up on the Mississippi Gulf Coast, we had our own Mardi Gras celebrations including masque balls and parades. My parents took me to my first New Orleans’ Carnival when I was about 12 years old. I can still remember the images of bacchanalia in the French Quarter from that maiden voyage. I was hooked. But my first un-chaperoned Mardi Gras was 20 years ago when I rode the bus from Gulfport, Miss., to the New Orleans Greyhound station at the foot of Poydras to meet my fellow St. Stanislaus juniors on a chilly February weekend in 1986. Our crew included my boarding school roommates John King and Charles Oliver, along with their friend David “Toto” Drennin. In what I should have recognized as a precursor to many future Carnival seasons, a shifty looking guy on the bus offered to sell me some of modern pharmacology’s finest treats to help complete the party. I passed, but not because I wasn’t already seeking the kind of full flight from reality that Mardi Gras generously offers to locals and visitors alike. Sporting a Navy issue pea coat and a sense of limitless possibility, I hit the streets of Uptown with my school pals, catching parades whose names I wouldn’t remember until years later, meeting all kinds of interesting “city kids,” drinking beer from krewe-themed plastic cups on streets with names like Constantinople, Delachaise and Toledano, and ultimately finishing each night by slipping into Uptown college bars packed with Tulane and Loyola students -- a preview of life to come. Mardi Gras Day 1986: We woke up late and missed the infamous Zulu parade, which I had first glimpsed along Canal Street four years earlier when they still threw their coconuts and spears from the only African American krewe’s floats. Instead, we started out the day with a traditional Budweiser breakfast before heading out on foot to catch Rex (the King of Carnival) and meet up with more friends along the Garden District parade route. Somewhere near Louisiana Avenue we stopped to use the facilities and found our way to a crumbling and abandoned mansion just steps away from the crowds. After taking care of business, we explored its formerly grand and now dilapidated rooms, climbing the rickety staircase all the way to the third floor where a group of ominous-looking older guys were engaging in some illicit herbal activity and looking threateningly in our direction. Coming down the back steps, we spied a gaggle of college age girls utilizing the estate’s equally decrepit slave quarters as their own outdoor ladies room. Bathrooms are hard to come by on Mardi Gras day! Years later, I went searching for that house, unsure of its exact location, and, after several passes through the neighborhood, finally pinpointed the corner lot where it would have been. Amazingly, there stood a new version of the house and slave quarters, fully restored to their former glory. Only in New Orleans, eh? Amidst a veritable sea of revelers of all ages ranging from wild college kids to families with barbecues on the St. Charles neutral ground to flamboyant queens in outlandish costumes, we made our way to Seventh Street where dozens of fellow Rock-A-Chaws (a sandspur was our Stanislaus mascot if you can believe it) were settling in for a long day of partying. Two seasons later, in my freshman year at Loyola, I ran into then-Stanislaus senior Sandy Sarpy manning a parked station wagon loaded down with Popeye’s chicken dinners. He was giving them out to just about every celebrant who passed through the intersection of Prytania and Seventh on their way to the parade. Another 15 years passed before the meaning of that moment hit me. Perusing a book on the history of Carnival in the Wilmette, Illinois library, I recognized a very young Sandy standing in an early 1980s era picture with his regal looking family members including grandfather Leon Sarpy who once served as king of Rex, one of the older Carnival organizations that today reigns over the annual pre-Lenten season. The last stop of the day, at least in my memory of that momentous Mardi Gras, was a party of high school seniors at the corner of St. Charles and Second Street. There they were, the hot shots of the Stanislaus upper class dorm including one particular guy dressed as a catholic school girl. He was a diminutive but muscle bound live wire who used to strut up the residence hallway announcing in his best mock-YAT accent, “Yeah, you right, bro!” Years later this same fellow would make news twice, first by saving a bankrupt independent movie house Uptown and then kidnapping and killing his police office girlfriend in that same theater in the late 1990s before turning the gun on himself. As dusk approached on that Mardi Gras day in 1986, my first glimpse of the Comus parade came into view. Following efforts by city leaders to integrate the old-line secret society krewes in the early 1990s, Comus no longer parades, its members content to celebrate the season with their very private masque ball. Illuminated by hand-held flambeau torches, the parade made its way up the avenue, rocking back forth on their 19th century wagons. My already overwhelmed senses were brought to a crescendo with this last burst of riotous sights and sounds. Comus was a vision to behold, its floats decorated elegantly in hand designed paper mache (as opposed to the more obvious fiberglass of today’s superkrewes), giving visual exposition to their annual take on a classical theme, all in good tongue-in-cheek fun. Then it was all over. Except that it wasn’t. That day has stayed with me for two decades, drawing me to New Orleans a year and a half later for college at Loyola and helping plant the seed of a lifelong passion for New Orleans, Mardi Gras and everything that makes that city a place like no other.